The Iranian Foreign Ministry has dismissed the recent “insulting” claims by Saudi Foreign Minister Adel al-Jubeir against the Islamic Republic, saying such allegations are aimed at distorting the existing realities in the Middle East. 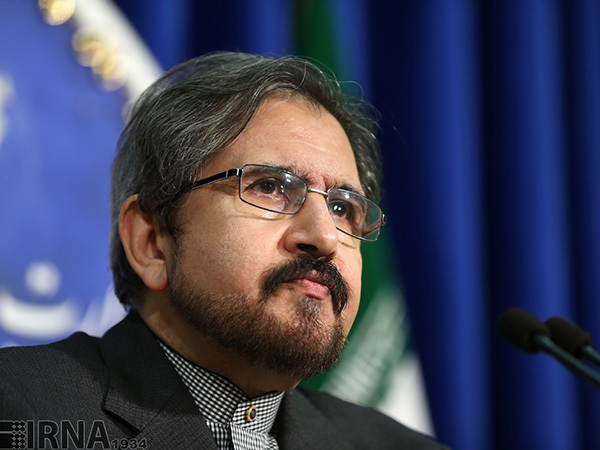 “It is Saudi Arabia, which has been the breeding ground for the emergence and growth of terrorism in the region over the past years,” Iran’s Foreign Ministry Spokesman Bahram Qassemi said on Tuesday. Jubeir’s justifications for Al Saud’s brutal attacks against Yemeni women, children and civilians show that Riyadh has suffered a heavy defeat against the Yemenis’ strong determination to advance their objectives in the region. He added that Takfiri terrorism, which is inspired by Saudi Wahhabism, has resulted in the loss of countless innocent lives and huge destruction of property in West Asia and North Africa. The Iranian spokesperson reiterated the Islamic Republic’s principled policy on good neighborliness in the region and said the improvement of relations with neighboring states has always been among Iran’s priorities. “We have taken appropriate steps over the recent years to normalize and improve relations with our neighbors and regard Saudi’s overt and covert acts of obstructionism as the main obstacle in the path of establishing a secure and stable region,” Qassemi pointed out. Speaking at a joint press conference with French Foreign Minister Jean-Marc Ayrault in Riyadh on Tuesday, Jubeir claimed that Iran’s meddling in the internal affairs of the countries in the Middle East was the root cause of regional distress and instability. He also claimed that Iran was planting terrorist cells in Saudi Arabia and the region in spite of Riyadh’s efforts to establish good relations with Tehran. The Saudi minister further pointed to Riyadh’s war on Yemen and said the Saudi military aggression against the impoverished country had been in response to a request by the former Yemeni government. Saudi Arabia has been engaged in the deadly campaign against Yemen since March 2015 in an attempt to bring back Yemen’s former president, Abd Rabbuh Mansur Hadi, a staunch ally of Riyadh, to power and undermine the popular Houthi Ansarullah movement.